On episode 5 of the Birds and the Beehive Podcast, we are going back to school to learn about campus and community organizing! 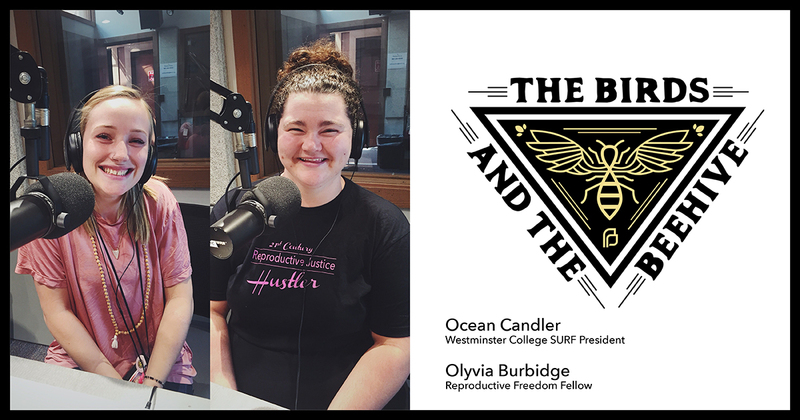 Katrina talks with two young organizers–Ocean Candler and Olyvia Burbidge–about their passion for reproductive freedom and why organizing is so important, especially with the upcoming election and legislative session. Plus, you’ll learn how you can get involved on September 8th at our first ever Beehive Bootcamp! We hope you can come! In our Ask Planned Parenthood Anything segment, we answer a common question we often get from college students. Have a question about Planned Parenthood you want us to answer on a future episode? Leave a comment or send us a message on social media. We have student clubs on the following campuses: Utah State University, Weber State University, University of Utah, Salt Lake Community College, Westminster College, Utah Valley University, Dixie State University, Southern Utah University, USU – Eastern. If you are interested in joining one of these clubs, email ppac@ppau.org, and we will connect you with that club’s president! PPAC Election Page — all the info you need to register and track our endorsed candidates!